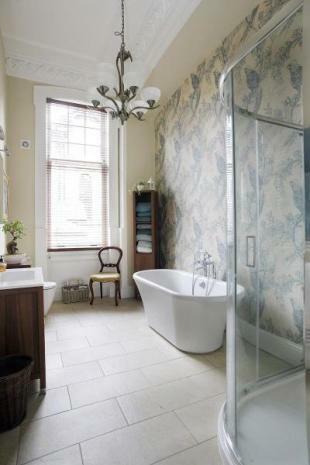 Housedress is a Glasgow-based interior design and styling company set up by Bridget Turner. For the past ten years, Bridget and her team have been styling, dressing and transforming people’s homes and other residential and commercial properties. From one-bedroom flats to three-storey mansions, town houses to seaside retreats, offices and art galleries, the Housedress team works with clients across Scotland to breathe new life into domestic and commercial interiors. We’re driven by the desire to create beautiful, comfortable and functional interiors. We’re not design snobs or fussy followers of fashion. Friendly and flexible, you’ll find our team work in a relaxed, fun but professional manner. We’ll work closely with you throughout the whole process to make sure you get the result you want. We’ll talk to you and your family in length to get a good understanding of your tastes, lifestyle and needs and we’ll closely involve you in all decision making, from selecting paint to hanging pictures. Think of us as your helpful friend, who will go shopping with you, nudge you in the right direction, explain why certain things work (and certain things don’t) and help you to see the potential in your home. Why add to the landfill? We don’t advocate throwaway chic or changing things just for the sake of it. In fact we will often persuade our clients to appreciate something they have fallen out of love with simply by rearranging it. We are always looking for creative ways to ‘upcycle’ and reuse, from upholstering an old chair with a modern fabric to giving a tired bookcase a new lease of life with a lick of paint. Everything inspires us, from charity shops to antique fairs, art galleries to John Lewis, museums to Moroccan souks. We want to share that inspiration and passion for interiors with you and help you create a home that reflects your personality. Bridget, founder of Housedress, has been transforming homes and interiors for as far back as she can remember. With a creative mind, an eye for detail and an uncanny ability to see the potential in things that others might overlook, she has become renowned for her ability to create beautiful, functional and inviting interiors. She believes that a home should be more than just the space we live in – rather it should a relaxing, life-enhancing environment and she is passionate about helping her clients achieve this. Her personal style it timeless. 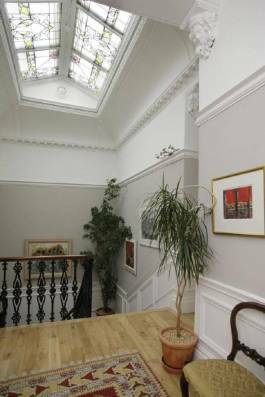 She loves deep colours, Farrow and Ball paint, inspiring art, retro touches, a bit of Ikea, contemporary splashes, Timorous Beasties, quality fabrics and Scottish character. She is a committed ‘upcycler’ and creates new pieces from old or faded items. 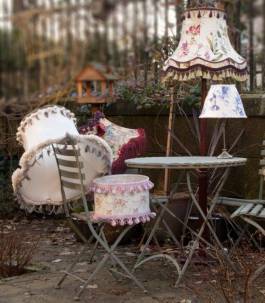 Indeed, her fabulously quirky ‘upcycled’ floor lamps are flying off the shelves at Cotterell Light Centre in Glasgow. But what she’s really good at is getting to know clients, understanding what they want and helping them develop their own style. Bridget has spent many years shopping for beautiful objects, scouring reclamation yards for vintage finds and searching out the very best and most reliable tradespeople, so has a huge network of contacts and sources to call upon. She will be more than happy to show you the top places to buy Scottish art to how to make the most of TK Maxx. She’s also tenacious. If you want that hand-painted midnight-blue Moroccan tile you spotted in a magazine, Bridget won’t give up until she’s found it. Sheona has worked with Bridget on a number of Housedress projects. A physiotherapist by training, she’s always had a passion for design and interiors. She’s collected art for years and has a talent for sourcing gorgeous objects. As a busy mother who loves entertaining, Sheona knows that homes need to be practical as well as beautiful. She’s hugely skilled at creating comfortable, relaxing spaces. Her personal style is a creative mix of contemporary Scottish style with a touch of New England. Her own home, which was recently featured in 25 Beautiful Homes, is bright and light filled, oozing warmth and cosiness. She instinctively knows how to bring a room to life and has bags of invaluable practical knowledge, from sourcing fabric to hanging art.